We are more than just a gym. 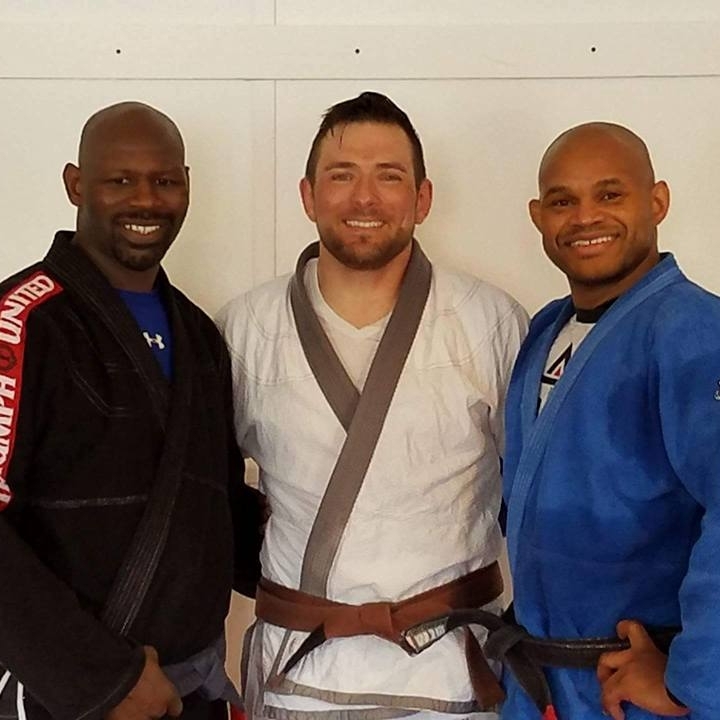 We provide members with functional fitness and the support to achieve lasting and positive changes in their health, fitness, and well-being using Cross Training and Brazilian Jiu Jitsu methodologies. Welcome to 5th Element Combat Fitness & CrossFit in Fort Lauderdale. We harness the best components of the elite physical training regimen of Americans premier special operations units under one roof. Life is short. Time is valuable. Connections are becoming less personal. With busy schedules we are all constantly put in a position to sacrifice our health, fitness, friendship or family time. We offer a wide range of training programs: Combat Sports, CrossFit, BootCamps, Spartan SGX, Personal Training, and Yoga so our members can achieve meaningful, lasting, positive changes in their health, fitness, and well-being. 5th Element Combat Fitness is not just a gym, but a mindset and a lifestyle that increases resiliency. Why Workout At Our Gym? 5th Element Combat Fitness & CrossFit is a lifestyle and fitness company in Fort Lauderdale, FL acutely focused on making every second count. Our methodology is inspired by the World’s Most Elite Special Operations Force and customized for athletes at every level. Whether you are looking to build confidence, instill discipline, relieve stress or meet physical fitness goals 5th Element has the tools and supportive community to let you succeed. At 5th Element every second counts because time dedicated to building resiliency and improving mental and physical fitness is always well spent. 5th Element Combat Fitness & CrossFit has a 3,000 square foot group-fitness class area and a 2,000 square foot air conditioned Brazilian Jiu-Jitsu & Yoga training studio. The Gym has 10 in-house obstacles, a 40 ft traverse wall, and Spear Throwing. Nationally certified coaches provide the best group fitness classes and certified personal trainers offer one-on-one fitness training to help you build muscle, lose weight, and feel great! "5th Element has been one of the BEST decisions I've ever made. Now, more than ever, I realize that your health is an investment versus an expense. After having my first child I was freaking out; my body was not responding to my usual globo-gym routine (treadmill, spinning, etc). Then I found this place, and I was home! Personalized training without the price tag, I've been motivated to do things I never thought I could. I am stronger in mind AND body, which also spills into the rest of my life. I don't know any other gym that can do that!" "I love this place !!! I've been a member for almost 3 years. Best thing I did for myself and my health. Awesome people, awesome coaches and an awesome owner !!! So much positivity!!" "Love this gym. They work with you so you can accomplish your goals. The coaches are great at motivating you through challenging workouts. The people that go there are friendly and supportive. I'm so happy with the changes I see both physically and mentally." "5th Element is seriously the best gym I've ever been to. Instead of forcing myself to go workout like I used to, I now look forward to finding out what the WODs are and going to class. The coaches are all great and they do a great job of making sure everyone is following proper form and technique. the community is awesome, everyone is super friendly, welcoming and supportive. I've met a lot of great people and friends and it's always more fun working out with friends! I'd highly recommend checking out a free class! You will love it like I do!" "Great coaches that motivate as well as teach!" "This place is what Crossfit is all about! With a friendly owner and members that will greet you with a smile and introduction, they will also compliment you when you reach a goal, or motivate you when you struggle through a WOD, it is one of the best boxes I have ever visited (I have been to 40+ boxes across the country)! They have the equipment needed to perform standard and unique WOD's. They have knowledgeable coaches that can teach everyone from beginners to advanced, and show they are willing to continuously learn new ways to improve. If you are within a 30 minutes drive, this is the place to try out, become a member and stay to be part of their family!" "The best gym cross fit gym in Fort Lauderdale fun good energy and very motivating !!! Can't wait to go back"
"Great place for workouts! The coaches here are extremely encouraging. They push you to your limits and ensure that form is never compromised. The other members are just as cool. Great community at this box. Strongly recommend people to try this place out." "5th Clement has completely changed my lifestyle and the way I work out. I feel more energetic, more knowledgeable, and more motivated than ever. Would strongly recommend to anyone looking to make changes in their fitness."